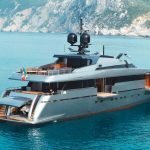 E, nel silenzio, lasciarsi cullare dal rollio calmo delle onde, a bordo del tuo yacht di lusso a noleggio dotato di ogni confort, mentre pensieri e stress sfumeranno in un bagno di sole. Ibiza, infatti, custodisce due parchi naturali, perfetti da scoprire in yacht. Ses Salines Natural Park occupies Ibiza’s southern region and Formentera’s northern area encompassing 1.786,52 hectares of land and 1.3611,80 hectares of sea, boasting a huge variety of animal and plant species. It features picturesque strips of sand and dunes dotted with old junipers, rocky cliffs inhabited by hawks and African fish eagles, as well as ponds and salines. 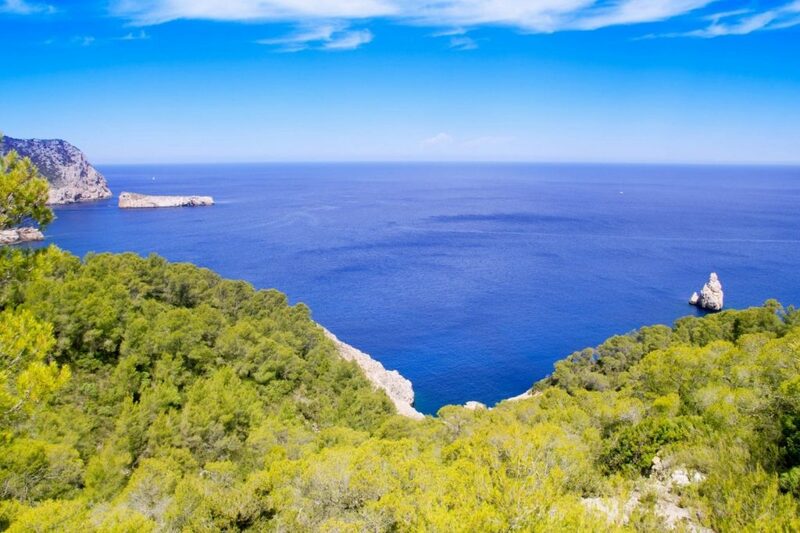 Ibiza was once known as “the island of salt”, a natural resource that has left a mark on the island’s history. Already in the fifth century b.C. the Carthaginians knew about it and by the 12th century the Arabs exported it to North Africa. To this day, salt is extracted using traditional methods. 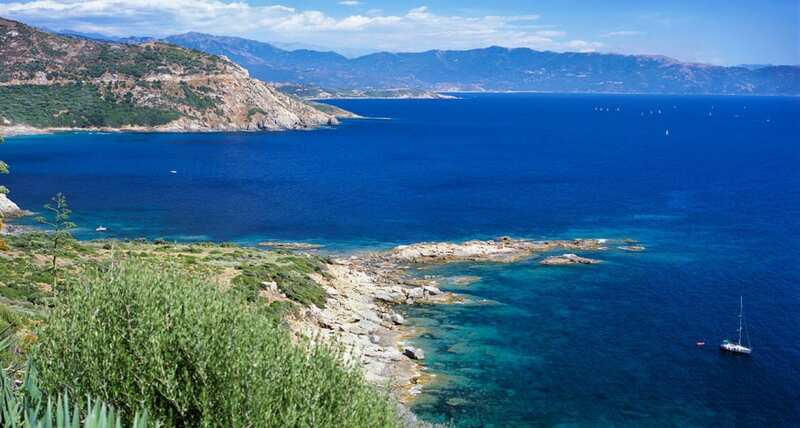 The seabed at Ses Salines is a UNESCO World Heritage Site, covered in meadows of posidonia which are among the largest of the world: a heaven for snorkeling enthusiasts. The natural park is home to some 210 species of birds, including gorgeous pink flamingos. The Park features Playa des Salines, one of Ibiza’s top beaches, located at the island’s southernmost tip. 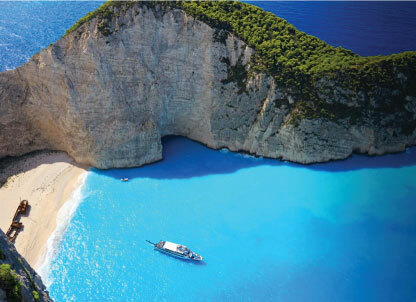 The picturesque crescent-shaped strip of sand is surrounded by a pine forest and sploshed by clear blue waters. Find here some luxury restaurants and trendy bars, the perfect spot to recharge before jumping back on your boat. 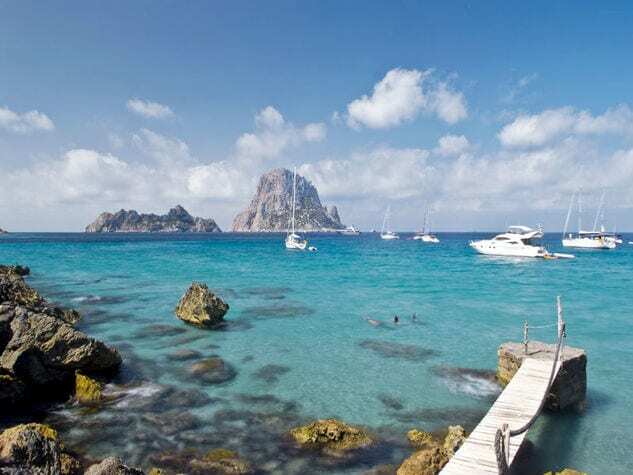 The deserted islets of Es Vedrà, Es Vedranell, and the islets of the west (also known as the Illots de Ponent) are found south-west of Ibiza and can be reached only by private boat after obtaining a permit. 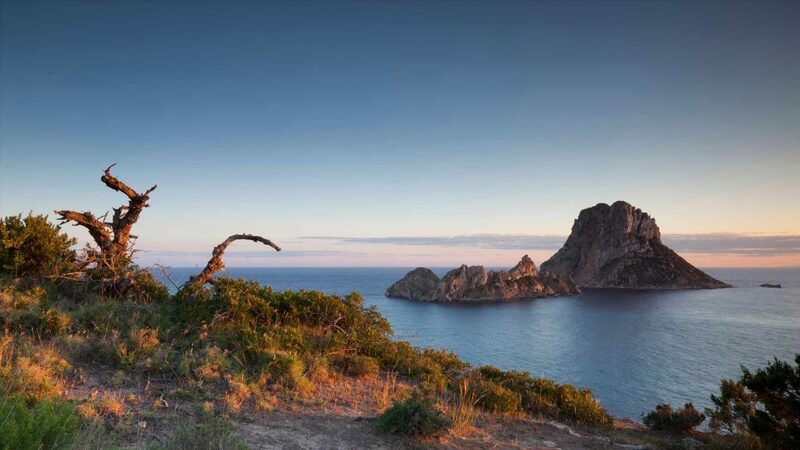 The small archipelago, which is part of Ibiza’s second nature park, inspired and continues to inspire directors, photographers, and musicians. Bask in the glow of unforgettable sunsets in the Natural Reserve of Es Vedrà, Es Vendranell, and the islets of the west as you sip a drink on your luxury charter boat. Enjoy sandy beaches and crystal-clear waters, and discover tens of hidden inlets such as Cala d’Hort, Cap Llentrisca and the Sa Talaia Natural Park, located opposite the islands of Es Vedrà and Es Vedranell. The dragon-shaped isle of Es Vedrà, (385 mt above sea level), is shrouded in mystery and old legends that still have a hold on tourists. Some claim to have had paranormal experiences there, possibly due to the area’s heavy magnetism that is similar to the one found at the Egyptian pyramids and Stonehenge site. Others believe that such “special” events may be drug-induced hallucinations, one of the side-effects of the lifestyle of the bohemian community that lives on the island. Either way, the saying only increases the island’s charm. One of the symbols of the Reserve is the imposing watchtower dating to the 15th century, the highest on the island, which is known as the Tower of the Pirate that the writer Blasco Ibáñez uses in the tale “Los muertos mandan, la del Pirata”. The special energy of this intensely picturesque site makes the heart sing. An isolated, off-the-beaten-path location to enjoy from the deck of your yacht. A place where the perfect harmony of the natural elements communicates a sensation of energy and profound peace. 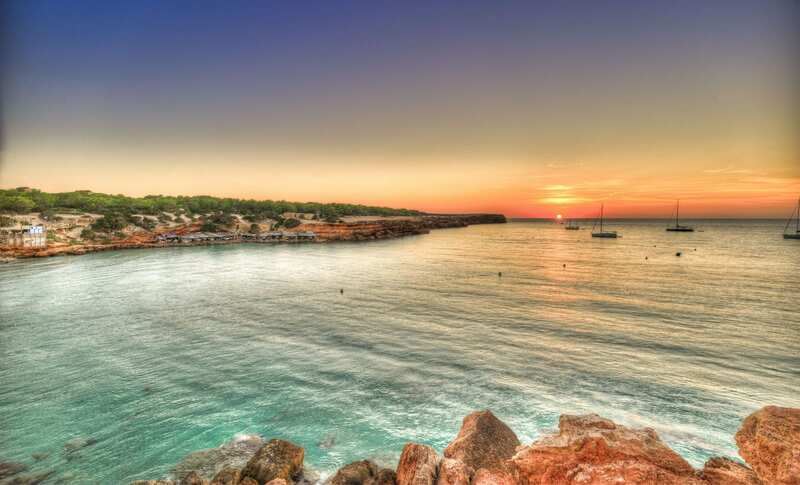 So close yet so different, the Balearic Islands are the ideal destination for a yacht holiday dedicated to combining unforgettable vistas, the nightlife, and a splash into unspoiled nature. Head to The Geko Beach Club to dine in Formentera, one of the Mediterranean restaurants boasting a most charming panoramic view of the sea.